Comments: P. J. Berckmans (Nee: ) | Augusta GA United States | 1851-1900 | Comments: This portrait of Mr. P. J. Berckmans appears on page 61 (along with a biographical sketch) of The Canadian Horticulturist, vol.XI, no.3, 1888. He was born in Belgium in 1830 and is the son of Dr. L. E. Berckmans, an eminent European pomologist. He came to the United States in 1850. He lived in NJ and GA. 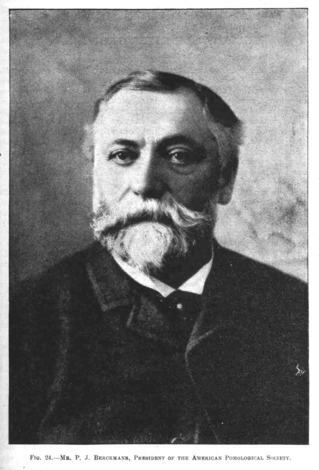 He organized the Georgia State Horticultural Society and was its president. He succeeded Marshall P. Wilder as president of the American Pomological Society.